Ralph Waldo Emerson’s words are especially stirring when considering the life and work of Charles McGee, the inaugural recipient of the Kresge Eminent Artist Award. McGee blazed a trail for art and artists in our community early on and shows no sign of slowing. Considered by his fellow artists, curators, collectors, teachers and students as the benchmark for artistic excellence, McGee’s distinguished career spans six decades and encompasses the kind of doing that astounds in its quality and volume: his work has been celebrated in hundreds of exhibitions from Detroit to New York to Bangkok; he has been a teacher and mentor to thousands of young artists; he has founded galleries and arts organizations, creating opportunities for others to share their work and ideas; his work has been commissioned and collected by institutions and individuals around the world; he has advised the State of Michigan, the City of Detroit and our arts institutions on countless cultural initiatives; and he has done it all with humility, reverence and a sense of wonder at the power and triumph of art. 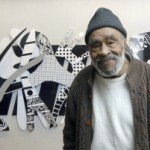 Charles McGee is, indeed, an eminent artist and it is with great honor that Kresge Arts in Detroit announces him as the recipient of this prestigious award, the first of its kind in Michigan. The 2008 Kresge Eminent Artist Award was selected by a panel of three influential members of Detroit’s art community: Gerhardt Knodel, artist and former director of Cranbrook Academy of Art, Dennis Alan Nawrocki, art historian and author of the recently published third edition of Art in Detroit Public Places (Wayne State University Press) and Dr. Cledie Taylor, founder and director of Arts Extended Gallery. Kresge Arts In Detroit is grateful to the panel for shepherding this important task and for setting the standard for this award in future years. “The creative mind,” McGee has written, “continues always to test the parameters of conventional knowledge, forever in pursuit of new vistas.” His extraordinary life in art is a model of continuity and change; his unerring dedication to his practice and community serves as an example for all of us to mark our own trail, one that will awaken us to new vistas and the freedom that art bestows.